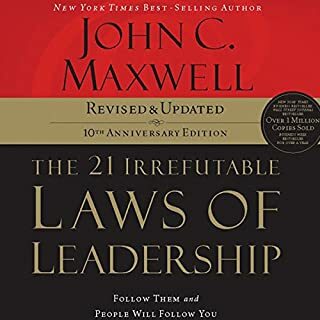 In the tradition of his CBA best seller The 21 Irrefutable Laws of Leadership and his sell-out seminars, author John C. Maxwell now provides a concise, accessible leadership book that helps listeners become more effective leaders from the inside out. 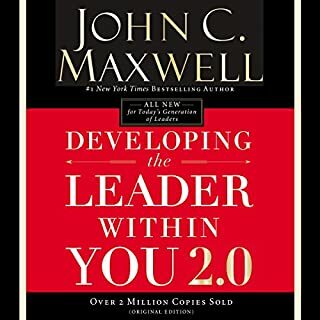 Daily readings highlight 21 essential leadership qualities and include "Reflecting On It" and "Bringing It Home" sections which help readers integrate and apply each day's material. I've heard this book in a much longer form years ago read by John himself. Here we have a 'new' version of the audio book and unlike many of the other books this one has a much better narrator. Here I was reminded of what is wrong with our current national and international leadership. I'm also reminded of basic leadership skills that I've forgotten and sometimes not applying and others I am. 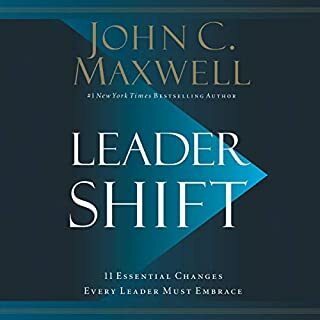 I found the book very informative about leadership and why we need some real leadership in the government, business, schools and our own homes. Yes, because Mr. Maxwell is probably the best teacher when it comes to leadership and relationships. 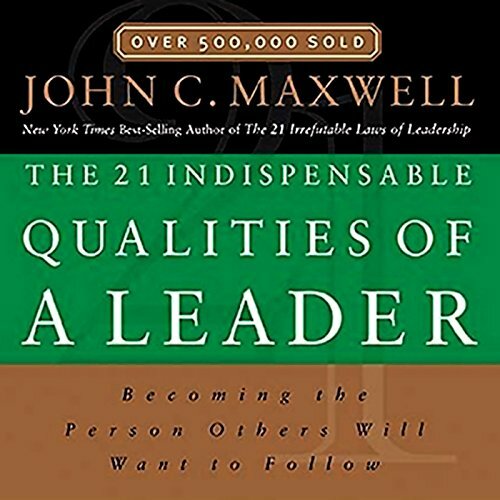 What other book might you compare The 21 Indispensable Qualities of a Leader to and why? What about Wayne Shepherd’s performance did you like? I have heard Mr. Maxwell speak often. Mr. Shepherd captured the nuance I would have expected Mr. Maxwell to have. 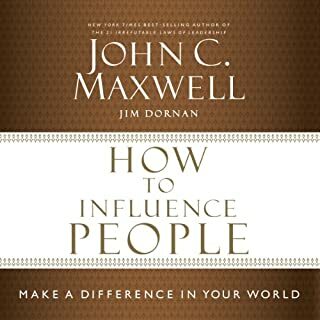 I always learn something new when reading or listening to John Maxwell. Being a new leader, this book has given me ideas on how to change to meet the challenges of leadership. I have always respected the wisdom shared by John Maxwell. very practical knowledge as well. good book. This is a book that is meant to be read multiple times, slowly digested, and put into practice. Here is proof that great leaders are not born. They are carefully prepared and baked in the oven of experience. Good stuff! I never regret reading or listening to a John Maxwell book. This book had a lot of little gems that I wrote down and hung up at my office. Loved It! Will do! Will read a second and third time. The best book ever. Great read. One that will be re-read multiple times to absorb and adopt the principles. Loved it! Simple language but so targeted! In simple plain language you are reminded or taught all the big and little things that make a leader in whatever context! Good tools to make positive changes in your life and the lives of those around you. This book tells you that to be a leader you have to be perfect. Basically it describes 21 characteristics that are generally appreciated by others. You could summarize this book in 2 pages. 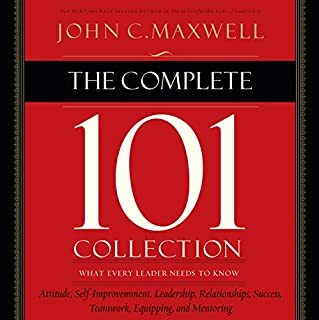 Lot of repetition and quotes, even quotes of John C. Maxwell himself! How stupid is that... I think the author has too much self-love which is obvious throughout the book. He is often describing his experiences and actions as the way to go. I would have preferred if each Quality was recorded in a separate chapter. That would make it easier to jump back for a second listen of a particular quality. Overall, the information is very good. John C. Maxwell, in my opinion, is one of the world's leading authorities on the subject of leadership. 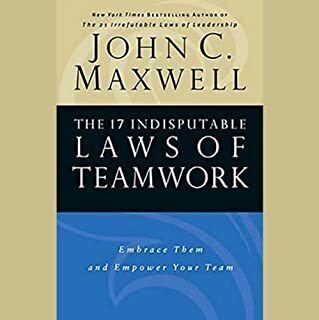 I've read his book The 21 Irrefutable Laws of Leadership a few times and have found it to be very powerful in regards to understanding the laws that govern leadership. Well, this audiobook is about the principles which govern the essential characteristics of a leader. To anyone out there who is a student of leadership and personal self-development, this is one resource which you need to have in your life. I trust that you will enjoy listening to it.